In The Ear Hearing Aids (ITE) - Read Reviews + Find Audiologists Here! In-the-ear, better known as ITE hearing aids, are a type of custom hearing aid that fits entirely within the outer ear. They are made to perfectly fit your ear. While these hearing aids generally fill the entire concha, they have a part that extends into the ear canal. This type of style is great for those who wish to have more discreet hearing aids, or need the space behind their ear for wearing glasses. A major benefit of this style of hearing aid is that unlike behind-the-ear (BTE) styled hearing aids, ITE hearing aids use the natural acoustics of your ears, as well as your ears’ ability to naturally amplify sound. An in the ear hearing aid are housed in a custom mould that sit in the lower portion of the ear. 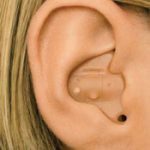 They are custom made for your ear so are generally very comfortable and range from being visible externally to being completely invisible. They are slightly less conspicuous than behind the ear hearing aids as they sit in the ear without an external device, therefore they are desirable for people looking for something less visible externally. What type of hearing loss are in the ear hearing aids for? In the ear hearing aids are recommended for mild to severe hearing loss. Your audiologist will recommend whether this type of hearing aid is suitable for your specific hearing needs. Like all hearing aids, you must compare the benefits and disadvantages, as well as your own lifestyle and loss to see whether this style of hearing aid is right for you. When it comes to ITE hearing aids, one of the most important factors will be your degree of hearing loss. ITE hearing aids are the most optimal hearing aids for those with severe losses in the custom style range. This is because all other custom styles are smaller than ITEs, and therefore too small to allow for more powerful receivers and advanced technology. However, ITE hearing aids are still much smaller than BTE hearing aids and may not compare in power. 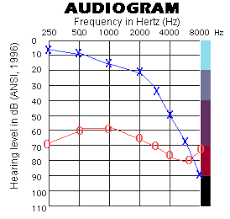 Furthermore, if you have a high frequency hearing loss, you will benefit more from a less occluding style, such as a receiver-in-canal (RIC) or slim tube BTE. Overall, this is a style perfect for those who wish to have a more discreet style while still being able to maintain control, as well as technology and power that is similar to that found in BTEs. ITC, or in the canal hearing aids are slightly larger and are still visible by other people. They are molded to your ears and may have controls on the device. These are custom molded to fit into the lower half of the ear bowl, since these are larger than other types extra technology such as directional microphones can still be added. These fill up the outer ear and are visible externally, however they do have extra features such as volume control, switchable programs and often a telephone control. CITC or completely in the canal hearing aids sit deeply in the ear canal and are invisible to other people. These are suitable for mild to moderate hearing loss and for those people without dexterity issues. They may or may not be removable without the help of an Audiologist. They have controls that are on the hearing aid, and that these controls are easy to manage. They are the best out of the custom styles for those with manual dexterity issues or poor eyesight. 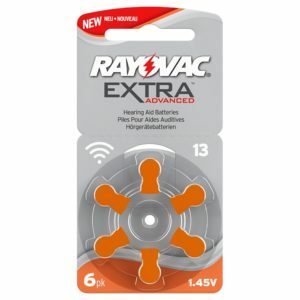 They provide ease of use when using telephones, are easy to clean, reduces the chance of feedback, and have good retention in the ear due to their large size. Unlike smaller custom styles, ITEs are less likely to become loose when talking or chewing. They are also the only custom style hearing aids that can fit a telecoil and can provide directional microphones, as invisible-in-canal (IIC) and completely-in-canal (CIC) hearing aids can only fit one microphone as opposed to two. Directional microphones will assist you in background noise by effectively reducing the noise while maintaining the clarity of the speech in front of you. ITE hearing aids are larger and therefore they can hold bigger batteries which means longer battery life and more power compared to the other custom styles. 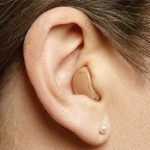 Users have found that this style of hearing aid reduces feedback due to its reduction in any acoustic leakage, comfortable, easy to use, and lightweight. They are the most visible type of custom hearing aid, and they are still affected by wind noise. Although they are the largest style of custom hearing aid, people who have manual dexterity issues or poor eyesight may still have trouble controlling and maintaining their hearing aids compared to BTE styles. However, any difficulty can be overcome by choosing an automatic hearing aid. Finally, like all custom hearing aids, as the electronics of the hearing aid sit in the ear, they are more prone to damage from wax and moisture and must therefore be cared for frequently. 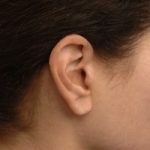 Are in the ear hearing aids right for me? Everyone has their own needs and each case needs to be judged by competent professional. Generally ITE hearing aids are suitable for most adults, but not recommended for children as their ear canals are still growing. Hearing Choices will put you in touch with a local audiologist who will be able to pick the very best hearing aids for your needs. Only after a thorough test and fitting session can you get the perfect hearing aid. How to insert in the ear hearing aids? In the ear hearing aids are simple to insert, first you put the end tip of your device into your ear canal then gently pull your ear lobe down to enlarge the canal while pushing the hearing aid into the canal, you can also gently twist the device as well. There should be absolutely no pain or discomfort when inserting the ITE hearing aid, and the device should sit snugly and comfortably within the ear. If there is any movement or discomfort please contact Hearing Choices to put you in touch with a local audiologist. How to clean an in the ear hearing aid. Because in the ear hearing aids are inserted into the ear, they can often be clogged with wax and other types of moisture. Over time, this may block and muffle the sound and speakers of the device. Most in the ear hearing aids will come with a small brush which you can use to clean the sound outlet by gently inserting it into the device to clean out the wax. If your device has a ex filter if they are self replaceable they should be replaced as often as the manufacturer recommends. What is the best brand for in the ear hearing aids? All the major manufacturers make in the hearing aids. Everyone responds to hearing aids differently so only after a careful diagnosis and trial can we find the best brand for you. All Hearing Choices customers will get a 45 day trial for their hearing aids, meaning if your not 100% happy with your in the ear hearing aids you can go back to your clinician to get them to re-fit or swap them. How much do ITE hearing aids cost? ITE hearing aids are available from all major hearing aid manufacturers. Like all hearing aids, regardless of style, the price of your ITE hearing aid will depend most on its technology level. As this style of hearing aid is smaller than BTEs, some technical features can be lost. Therefore, you may find you need all the features from the higher technology levels, meaning that you may be paying more. That is not to say that you cannot find affordable ITE hearing aids, nor that you have to buy top of the range ITEs to benefit. Due to this style being large enough to fit a larger battery, telecoil, and directional microphones, you will not be missing out on too much. Prices can be as cheap as $1,400, such as the Phonak Virto B30, and can reach up to $4,400, such as the Phonak Virto-B Titanium. 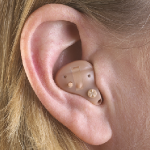 Most commonly, ITE hearing aids will require a size 13 battery which can last around 6-14 days. Size 13 batteries are characterised by an orange tab. They can also fit a size 312 battery, which is characterised by a brown tab and can last up 3-10 days. Battery life depends on the size of the battery, and how you use your hearing aid, such as which settings you have on and how long you wear them each day. Removing your battery from your ITE hearing aid is simple; first you must completely open the battery compartment door and remove the old battery. Remove the tab of your hearing aid prior to inserting into the compartments in order to activate it, then put it in, then close the battery compartment door. If you have done it correctly, your ITE hearing aid will play a tone. Change your hearing aid battery on a soft and flat surface so that if you drop it, it will not break, nor will you lose the battery. Ensure that you store your hearing batteries in a place that is dry and has room temperature. To prolong the life of your hearing aid batteries, make sure that you turn off your hearing aid when you are not using it, and leave the battery compartment open. This will allow the moisture that has accumulated while being worn to evaporate – prolonging the use of not only your battery, but the hearing aid.